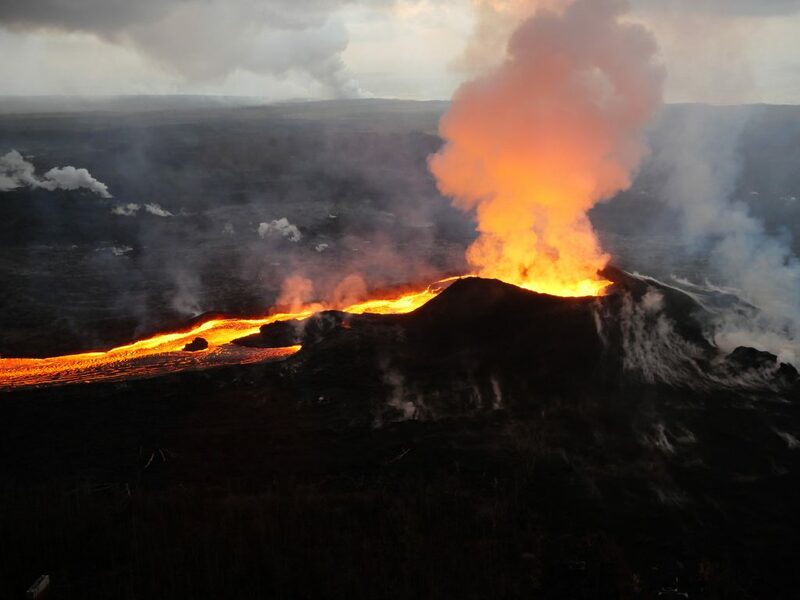 Researchers from the University of Hawai‘i at Mānoa School of Ocean and Earth Science and Technology recently discovered that infrared satellite data could be used to predict when lava flow-forming eruptions will end. Mt. 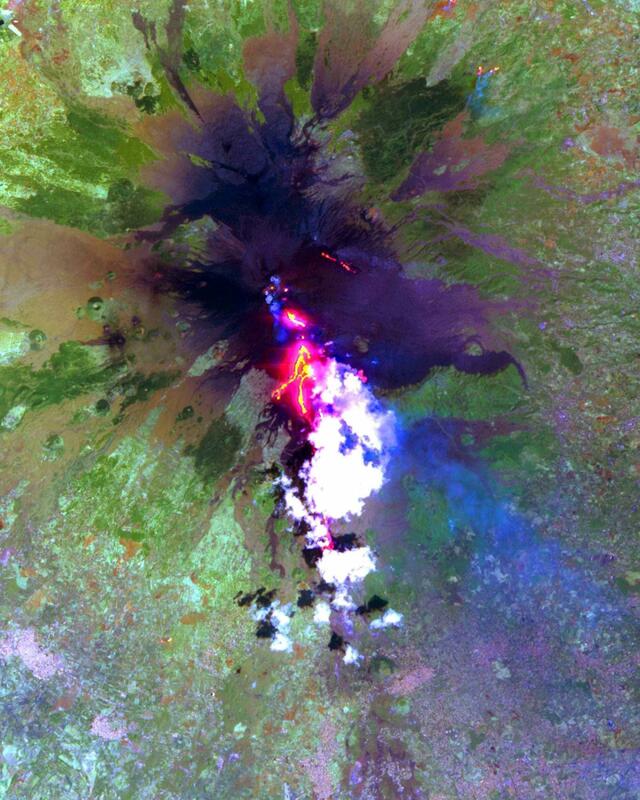 Etna from Space. Credit: NASA & US/Japan ASTER Science Team. 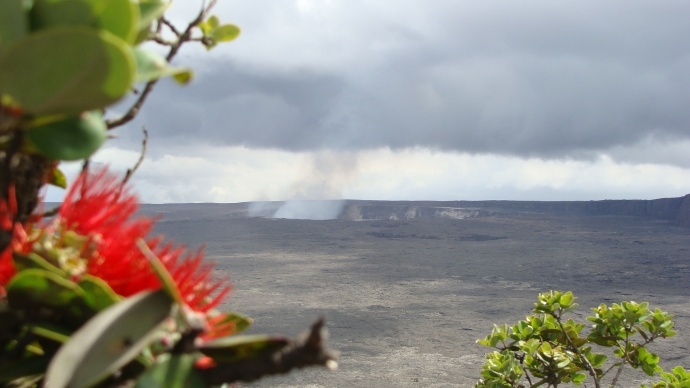 Using NASA satellite data, Estelle Bonny, a graduate student in the SOEST Department of Geology and Geophysics, and her mentor, Hawai‘i Institute for Geophysics and Planetology researcher Robert Wright, tested a hypothesis first published in 1981 that detailed how lava flow rate changes during a typical effusive volcanic eruption. The model predicted that once a lava flow-forming eruption begins, the rate at which lava exits the vent quickly rises to a peak and then reduces to zero over a much longer period of time—when the rate reaches zero, the eruption has ended. HIGP faculty developed a system that uses infrared measurements made by NASA’s MODIS sensors to detect and measure the heat emissions from erupting volcanoes—heat is used to retrieve the rate of lava flow. 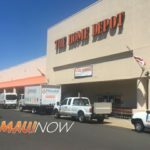 “Being able to predict the end of a lava flow-forming eruption is really important, because it will greatly reduce the disturbance caused to those affected by the eruption, for example, those who live close to the volcano and have been evacuated,” said Bonny.